I have my very own pop-up shop! The lovely Omaima invited me to be the very first local fashion-y person to have a rack of my picks up at Beats & Bohos. For two weeks, my vintage finds and shop favorites will be featured on a rack of their own! The shop is located on Greenwood Avenue, right on the corner of 72nd Street. 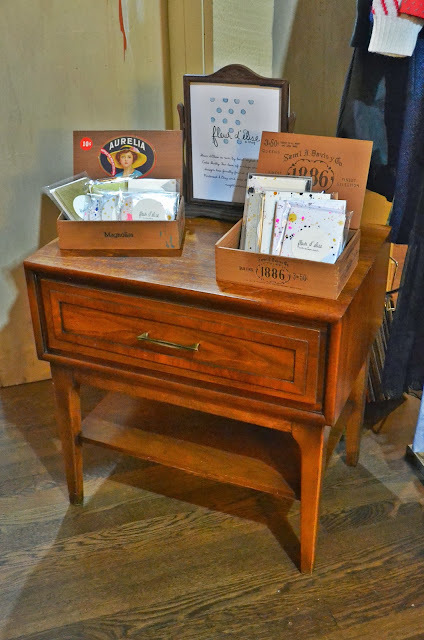 Next to the rack you'll find my stationery sets, calendars, and a little bio in an art deco frame. 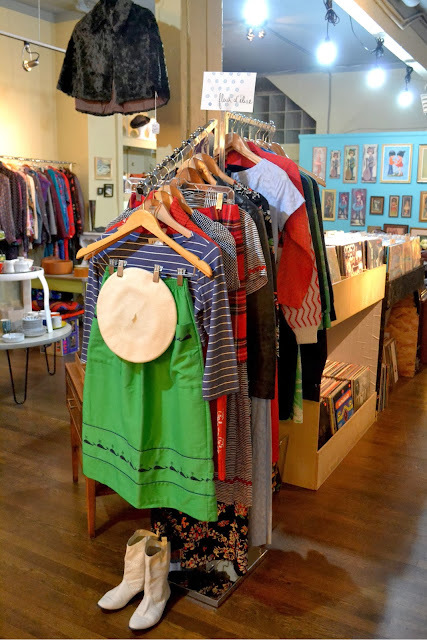 If you're not in Seattle, but are still interested in my creations and vintage clothes, you can take a peek at them here. P.S. Have you entered my giveaway yet?? This is so cool! I wish I could be there to browse through all these pretty things. Your picks are fantastic- and it's good to have your positive and stylish vibe at B+B. I love seeing your handmade stationary sets there too- hope they sell like hot cakes!